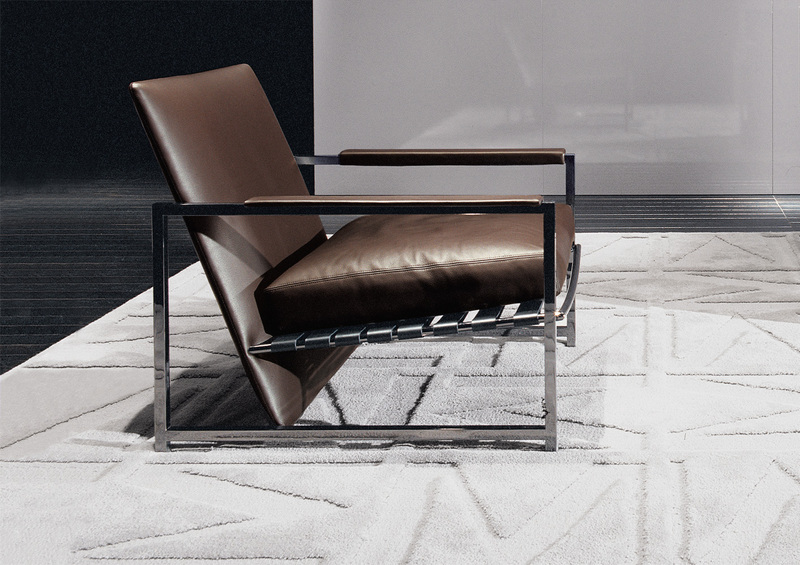 A compact armchair with an original design and a host of sophisticated design details. 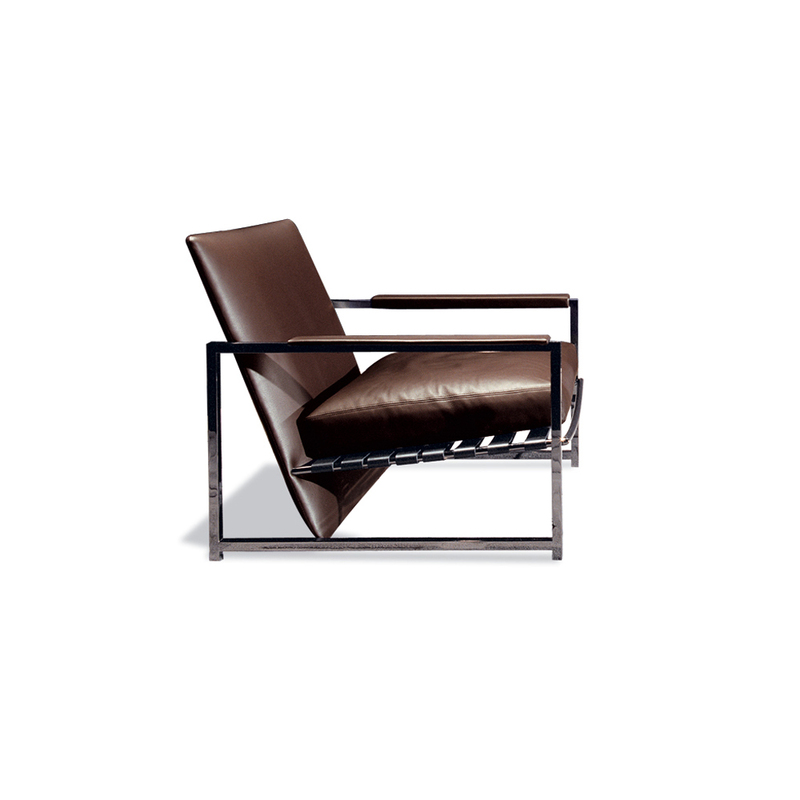 A black-nickel metal frame with leather-lined armrests and elegant supporting straps in saddle-hide for the seat. 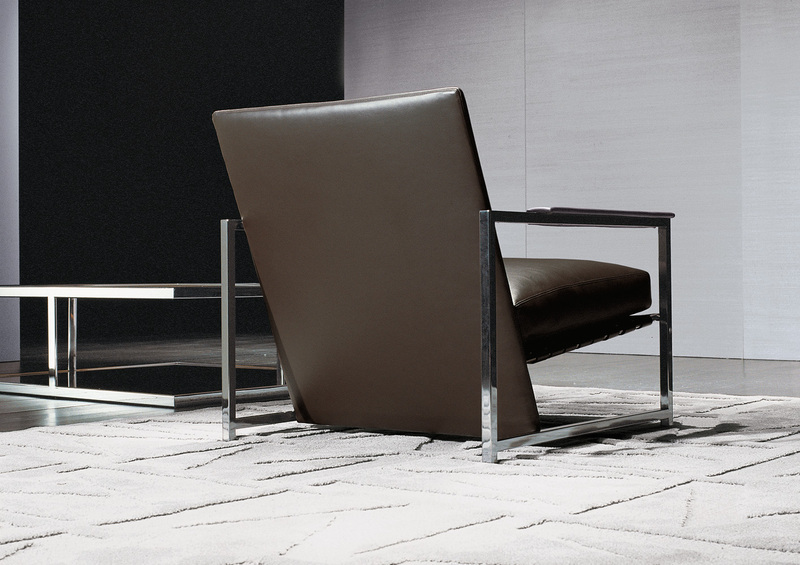 The refined construction details are especially highlighted by the upholstery, in leather only and available in a broad range of colors.